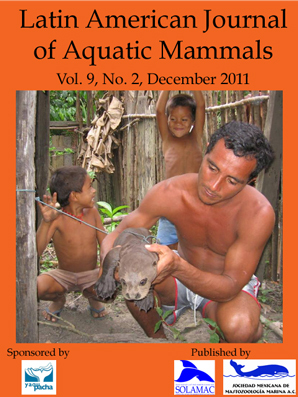 On the cover: A local dweller from the Amanã community in the central Brazilian Amazon holds a giant river otter (Pteronura brasiliensis) cub, captured to be maintained as a pet. Prompt action resulted in the cub's successful reintegration to its family group in the wild. Photo credit: Danielle Lima.